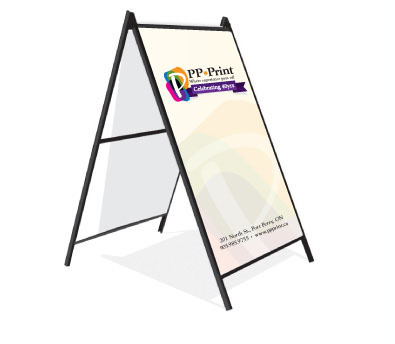 A-Frame signs are an economical and practical way to advertise and are available in various types of stock and colours. Whether you need one for personal use or business, A-Frames are a great way to make any message look great! Ask us if A-Frames are right for your needs!